William James Durant was a prolific American writer, historian, and philosopher. 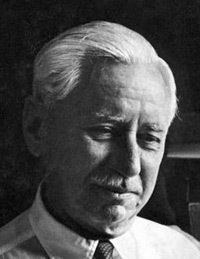 He is best known for The Story of Civilization, 11 volumes written in collaboration with his wife Ariel Durant and published between 1935 and 1975. He was earlier noted for The Story of Philosophy, written in 1926, which one observer described as "a groundbreaking work that helped to popularize philosophy." He conceived of philosophy as total perspective, or, seeing things "sub specie totius," a phrase inspired by Spinoza's "sub specie aeternitatis." He sought to unify and humanize the great body of historical knowledge, which had grown too voluminous and become fragmented into esoteric specialties, and to vitalize it for contemporary application. Durant was a gifted prose stylist and storyteller who won a large readership in great part because of the nature and excellence of his writing, which, in contrast to formal academic language, is lively, witty, charismatic, colourful, ornate, epigrammatic, in short, "humanized." Max Schuster, co-founder of the publisher Simon & Schuster (which also published Durant's works), and himself an admirer of Durant's writings for their beauty, remarked that Durant's prose "begs to be read aloud." John Little, who founded and heads the Will Durant foundation and has devoted much effort towards popularizing Durant's works in the 21st century, echoes Schuster's admiration for Durant's works in words which Durant himself sometimes used to describe a few of the finest works of Classical Antiquity: "prose so beautiful it rivals poetry." Will and Ariel Durant were awarded the Pulitzer Prize for General Non-Fiction in 1968 and the Presidential Medal of Freedom in 1977.